The US stock market rose on Tuesday, and Dow Jones rose more than 300 points. US congressmen reached an interim agreement on the border security budget and proposed a bull market. 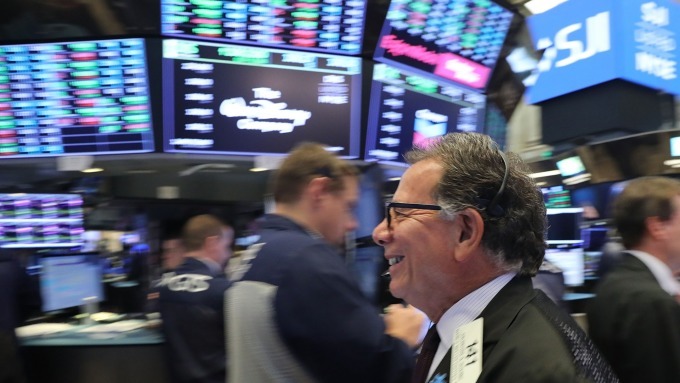 The Dow Jones Industrial Average rose 302.99 points, or 1.21%, to 25,356.10. The Nasdaq Composite Index rose 102.08 points, or 1.40 percent, to 7,409.98. The S & P 500 index gained 32.15 points, or 1.19%, to 2741.95. Analysts said the government's closure seems to have been avoided, which is bullish news for the stock market, and the pressure is gone. On Sunday night, negotiators reached Congress in principle to help prevent the closure of the government on Friday, but the draft agreement does not include President Trump's full wall budget, and if the government wants to prevent the closure of the door again, it needs Trump's support. Because Trump and Congressional leaders failed to reach an agreement on the US-Mexico border budget, as of January 25, the government closed down for 35 days, the longest record in history. Investors also pay attention to trade negotiations between China and the US, and both countries are interested in reaching an agreement before the March deadline.The trade talks began in Beijing on Monday, and both sides expressed hope for a new round of negotiations. The report noted that some US officials said that negotiations on trade lasted a long time, and that the deadline for cancellation. Conflicts between China and the United States began to affect global economic growth, investors fear that if the conflict continues, it may severely hurt the company's profit. Boeing and Caterpillar shares rose on Tuesday, and both companies have a large number of overseas operations, and are therefore considered indicators of global trade. Analysts said that if China and the United States quickly reach a trade agreement, investors will begin to respond to their positive impact. If the trade agreement is empty or not reach, investors will believe that the global economic recession is inevitable.